Adobo is a beloved dish being cooked in almost all of the islands in the Philippines. It can be pork, chicken, beef, or seafood. The usual adobo is cooked in vinegar and soy sauce but thru the years, and the chefs creativity, there are now many versions of our beloved adobo. 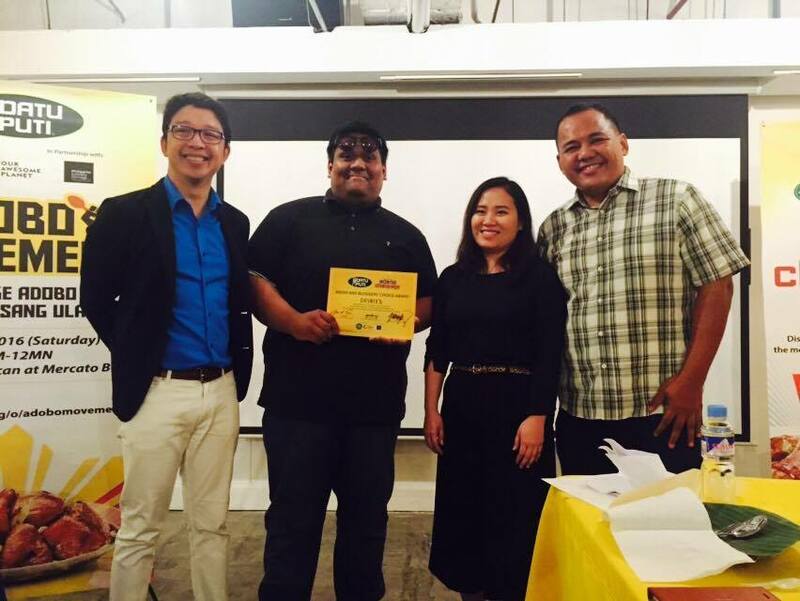 The Datu Puti Adobo Movement is cooking up an exciting lineup of challenges and events to support its thrust to get Adobo its due accolade. Part of this gastronomic lineup of events is the Adobo Challenge, Datu Puti's search for the best version of the Adobo among a lineup of budding food entrepreneurs. The Datu Puti Adobo Movement was initially created to push for Adobo to be our pambansang ulam. 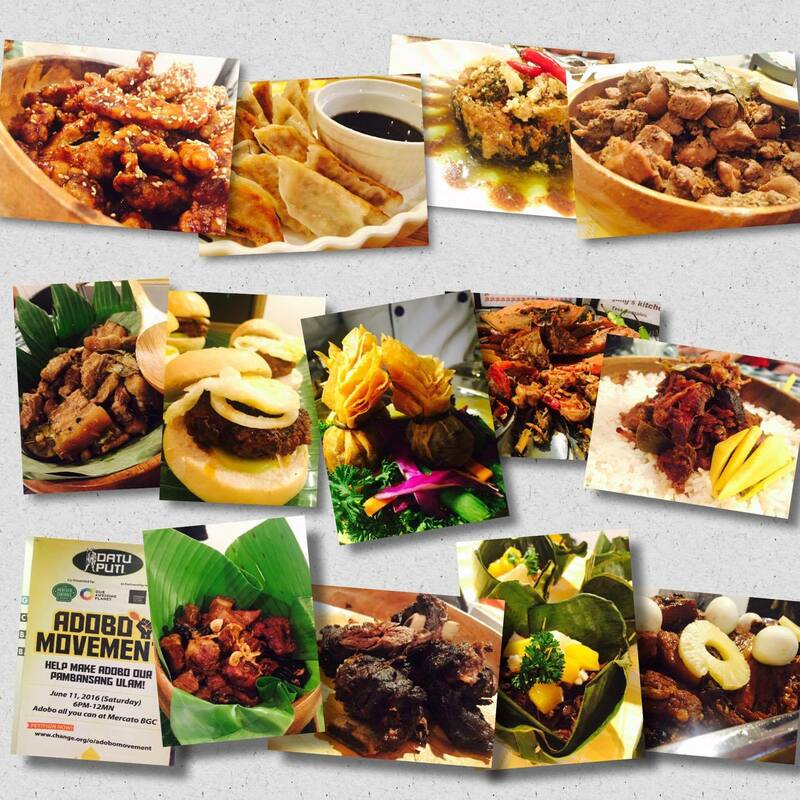 It is a movement that celebrates the cultural heritage of the Adobo dish. Filipinos around the country (different regions) have their own version of the adobo inspired by cultural and traditional way of cooking and local ingredients. During the press preview of the Adobo Movement cooking challenged, 14 vendors was given the chance to prepare the dish and let selected media friends allow to sample it. The laing adobo from Dayrit's gets the nod from the media guests. On June 11, 2016, the Datu Puti Adobo Movement and Mercato Centrale invited some vendors to showcase their adobo dishes. This is the culmination challenge of the Adobo Challenge. The winners will be awarded start-up funds in cash, so they can include their winning dishes on their regular Mercato menu.